Sqlite Forensics Tool – Know How It Works! 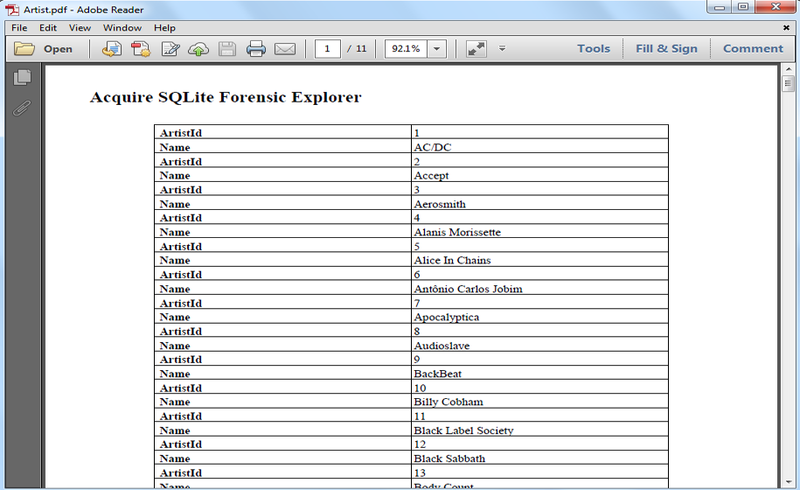 Now, Click on Add File button to add Sqlite file and start analyzing. 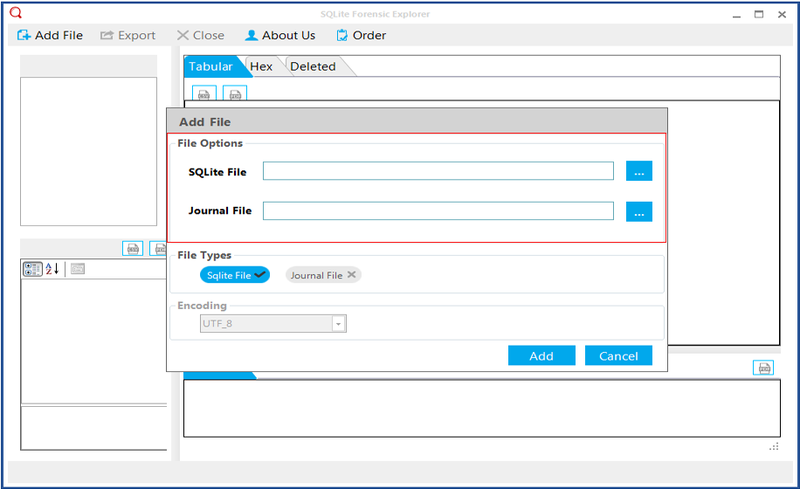 A pop-up box will appear, from there Browse and select the file type: either Sqlite File or Journal File. 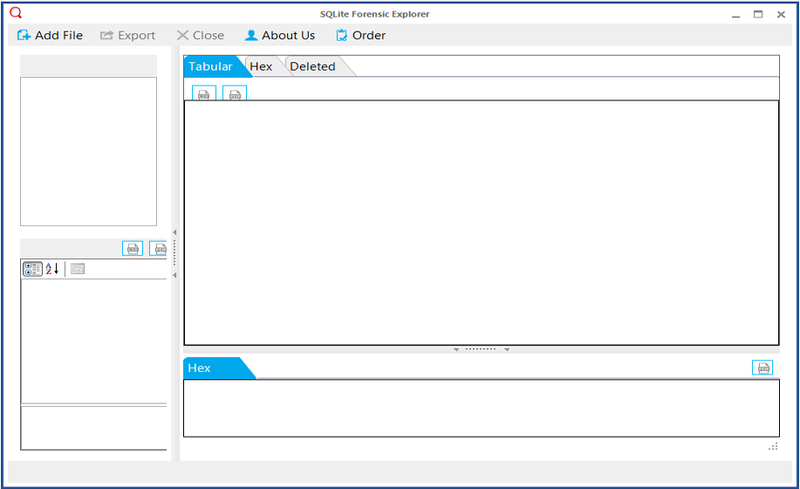 Now, find Sqlite file followed by clicking on Browse button. 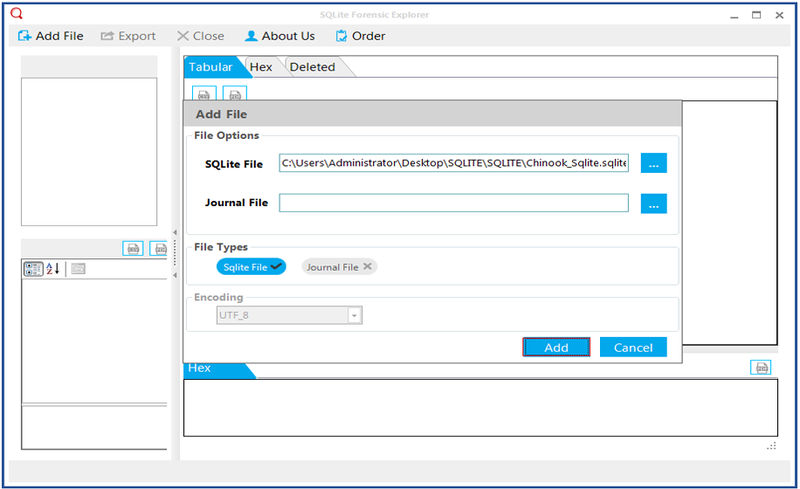 Select the particular Sqlite file and click on add button and let start the scanning proccess. 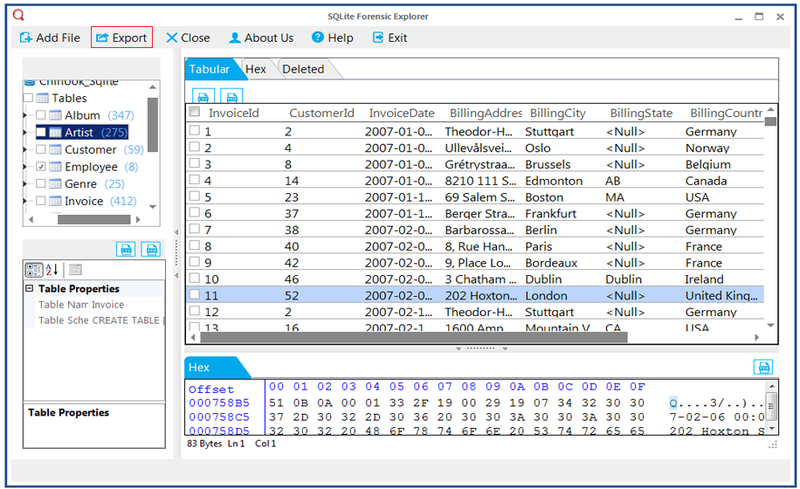 In the left pane of the window you can see the moduls of selected Sqlite file in a tree structure and at the right pane you can see the preview of Sqlite file under the tabular bar. 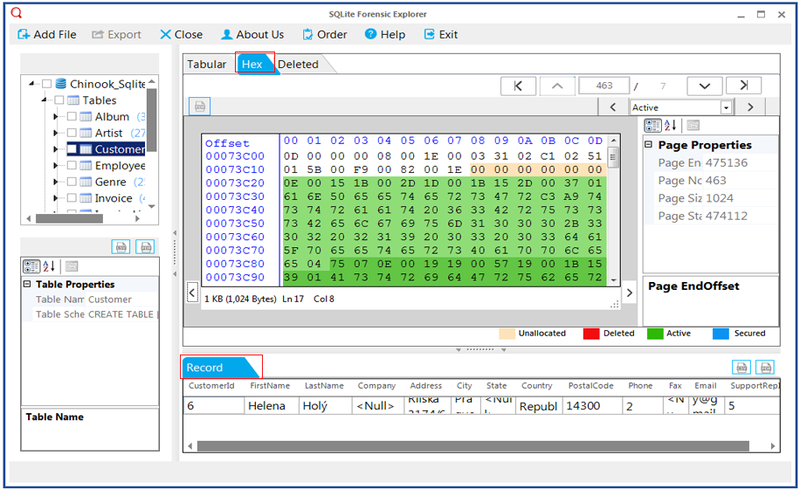 Hex tab lets you analyze the data in binary file format. 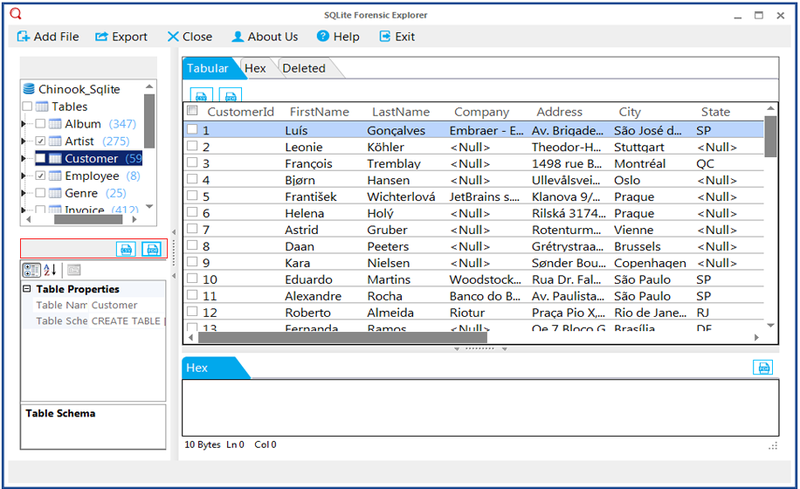 The record bar shows the detail of the message. 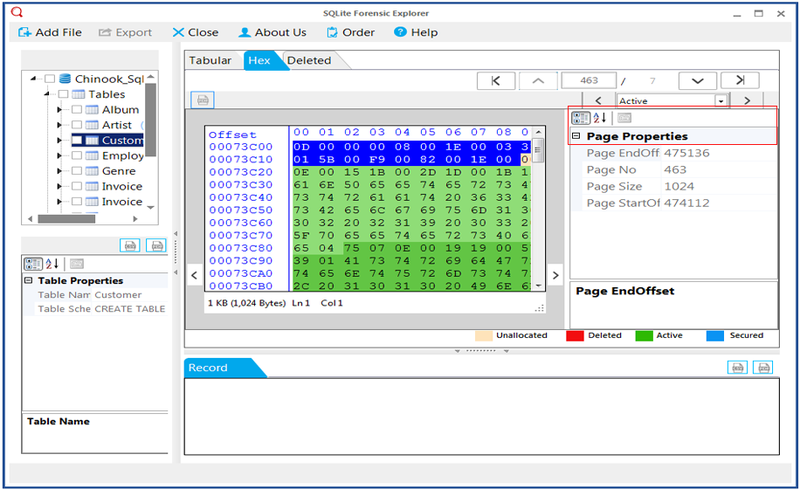 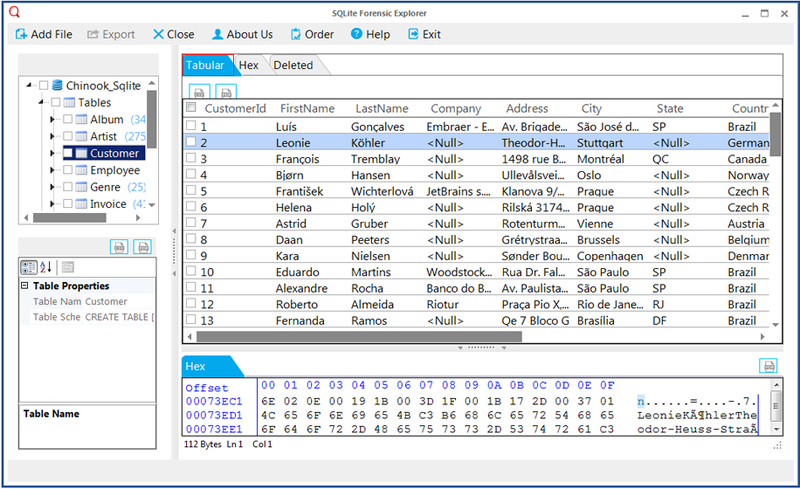 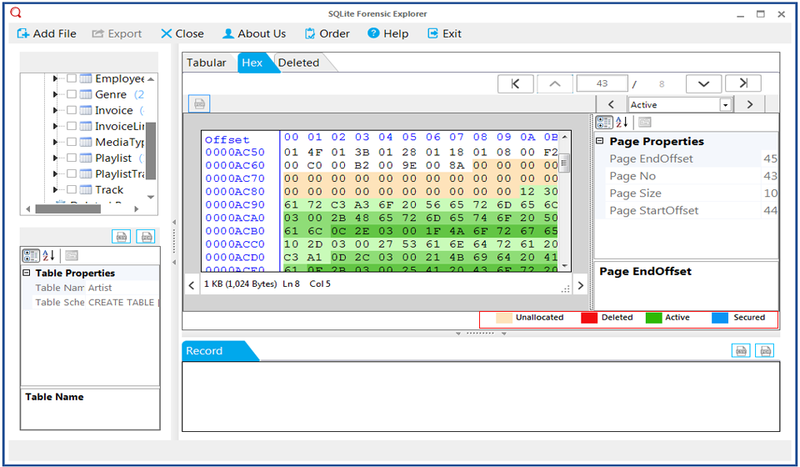 The Sqlite Forensics explorer provides the color schema that you can use to analyze the data in binary format. 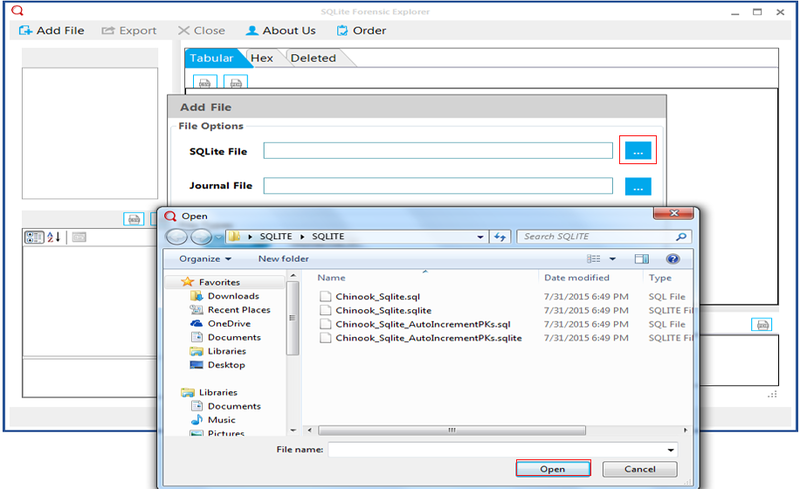 If you need to select the folder, which is required to export then you can do the same using the Export button. 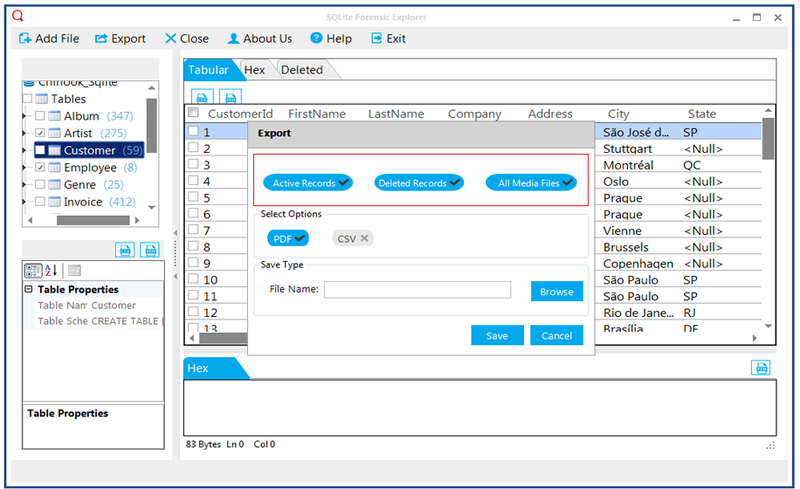 Export option allows to select either all export options such as Active Records, Deleted Records and All Media Files or desired one. 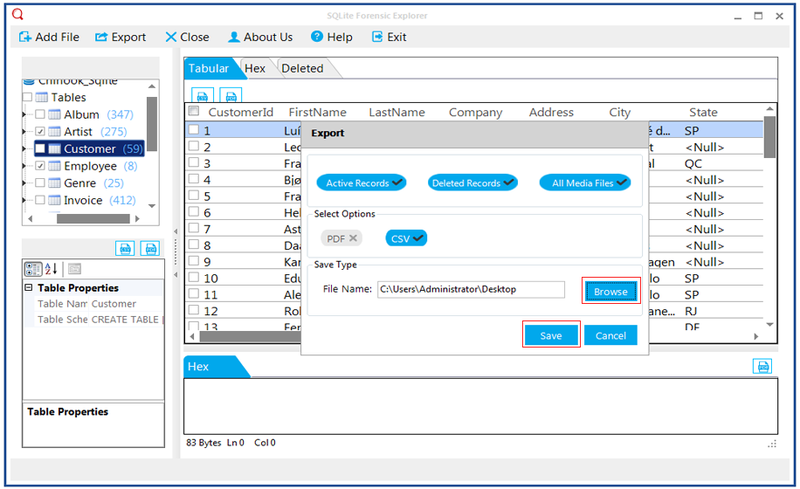 Now, select the file type like CSV or PDF to export desired records as per your need. 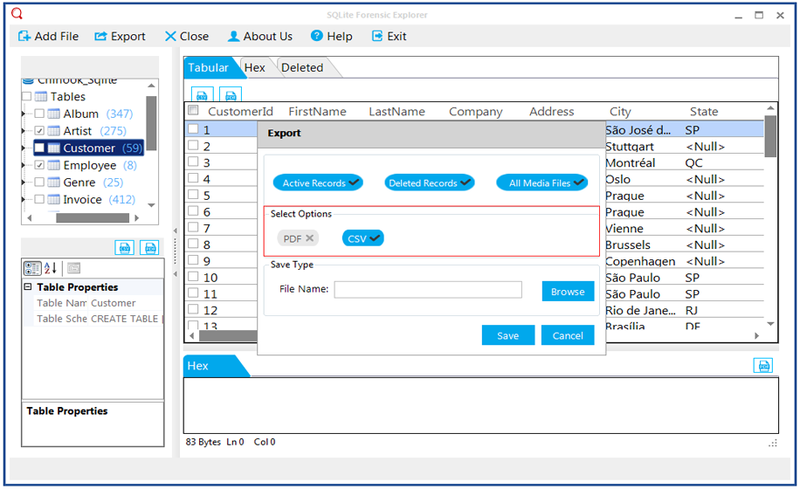 User can choose the destination location to export the files and then click on Save button. 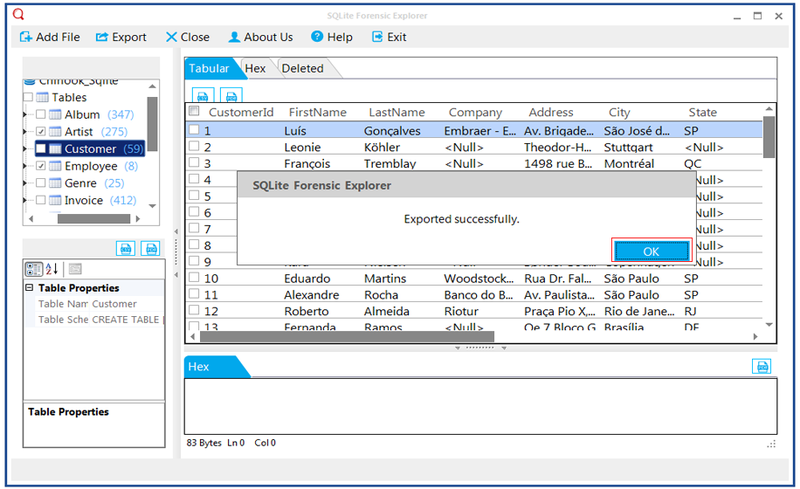 An alert pop up box will open "Exported Successfully" after successfully completion of export. 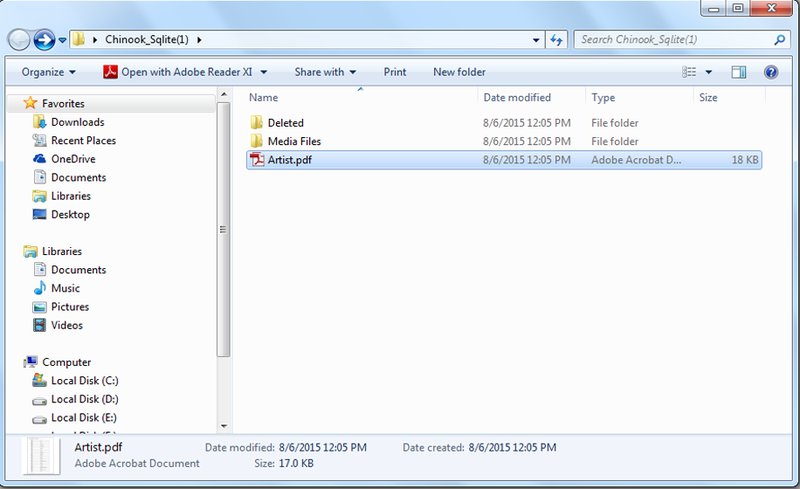 Now you can opne the PDF file using Adobe Acrobat Reader to view and analyze it. 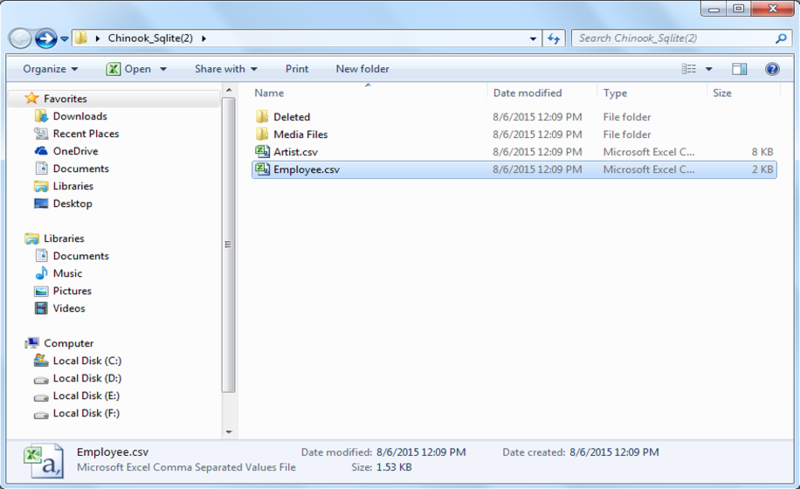 Now to open the CSV, move to the location where CSV files located in your machine. 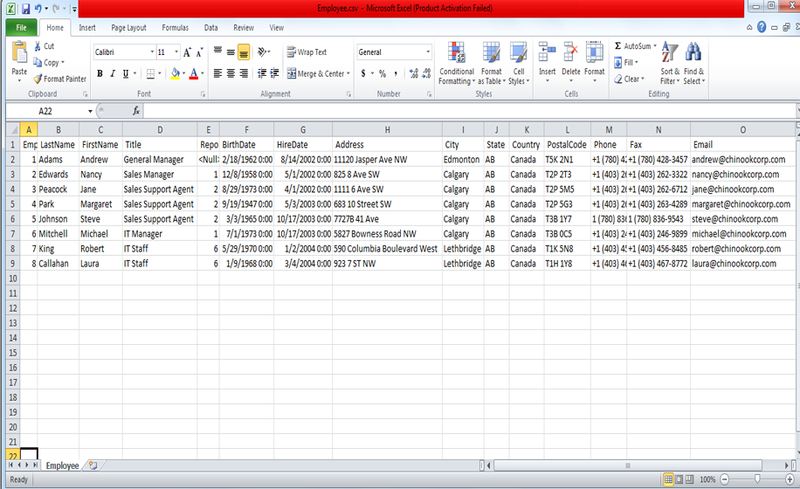 To open the file in CSV format double click on it. 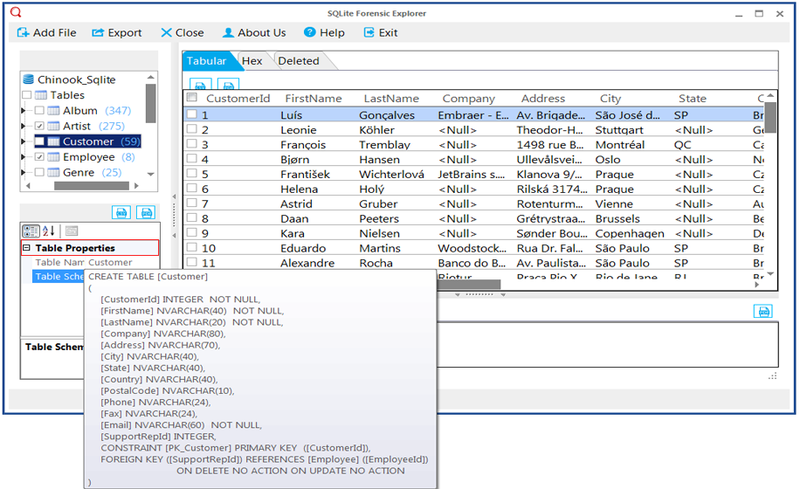 Now to analyze the schema of particular table, only you neeed to hover the cursor under the table properties.